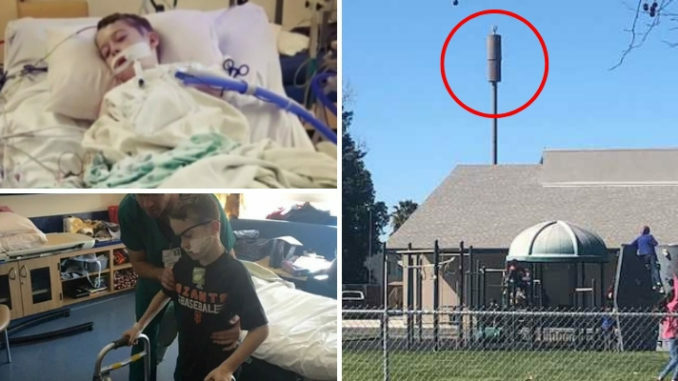 A California school has been forced to remove a Sprint cell phone tower after four students and three teachers were diagnosed with cancer. Weston Elementary School in Ripon, CA suffered controversy two years ago – with some parents threatening to pull their children from school over the tower which Sprint has been paying the school $2,000 per month to place on its property. Zerohedge.com reports: The Ripon Unified School District initially defended the cell phone tower earlier this month, with board president Kit Oase saying tests done on the tower had found it was operating within safety standards.